I’m delighted to tell you that my novel, The Legacy, will have its Jerusalem launch on August 7 at Beit Avi Chai. I will be speaking about the book with my fellow journalist Matthew Kalman, and I will also be signing copies which will be on sale from Katamon Books. To buy tickets, please click here. A preview of the event has been published by Times of Israel. You can read it below. And please do join me at an exciting evening! What is the legacy of the modern assimilated Jew? 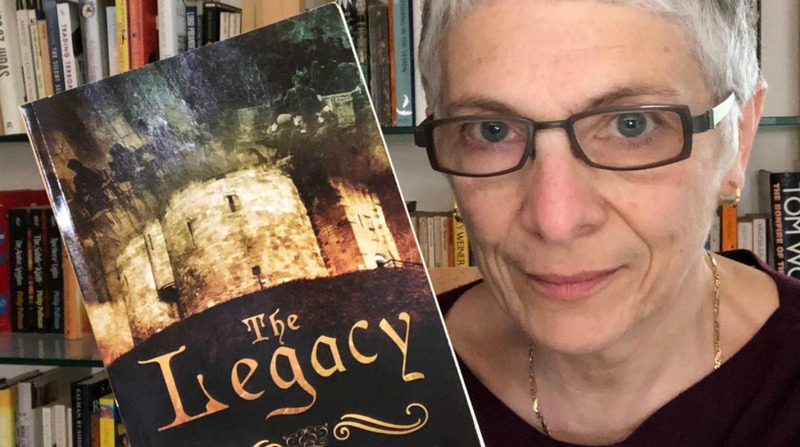 That’s the question at the heart of “The Legacy,” the debut novel from outspoken British author and commentator Melanie Phillips. Readers will have the chance to meet Phillips and get a signed copy of the book at its launch in Jerusalem on August 7, presented by The Times of Israel in partnership with Beit Avi Chai and Israel B.
Phillips began her career as a reporter, editor and columnist at The Guardian before building an international reputation with decades of searing analysis and commentary for the BBC and other major news outlets. These days, her regular columns appear in The Times of London and The Jerusalem Post. She is also the author of several acclaimed non-fiction books including “Londonistan,” about the growing influence of Islam in Europe, and “Guardian Angel,” about her struggle with Jewish identity as a rising star at Britain’s leading liberal newspaper. “The Legacy” tells the story of Russell Woolfe, a television producer in London whose father’s death drags him back into the cloistered Jewish world he had fought so hard to escape. There he stumbles across a mysterious worshiper at his father’s synagogue who may possess a priceless medieval manuscript that holds the key to Jewish survival. As he becomes immersed in the beguiling text, Russell finds himself re-opening the lost memories of his childhood, causing him to reassess his own identity and his preconceptions of his own parents. Snapping at Russell’s heels are his perplexed non-Jewish wife and daughter, along with his own all-too-Jewish sister. Phillips says the book, while fictional, is also informed by current events including the shifting political landscape in Britain and the re-emergence of antisemitism, particularly in the Labour Party after Jeremy Corbyn became leader. “As brazen antisemitism — and its denial — erupted in Britain, that issue worked its way into the story as well,” she says. “Fiction allows you to get under the skin of such issues, to get inside the heads of the people involved, and to explore big themes like the pull of history and conflicted national identity. And once I got inside my characters’ heads, they took up residence in my own — from where they still show no sign of departing,” she says.